Vous pensez que si le film avait marché, ils en aurait fait une attraction ? Non. Le film en lui même est bien, mais de là à faire une attraction, c'est un peu exagéré. Mais oui, si ça se trouve, ils se sont inspirée des concepts du film qui était en tournage (ou conception). En tout cas, j'ai remarqué qu'ils ont vraiment garder l'idée du coaster Tron à travers toute les concepts !! Et on peut aussi noté une certaine volonté de remettre le PeopleMover (je sais, le premier concept était adressé à Shanghai, mais ils l'ont tout de même repensé sur le track original de DL), mais d'un autre angle. En prime, je vous reposte celui du Stargazer Grill en haute-res! Je ne pense pas que cette vidéo ait déjà été diffusée. Visiblement, leur version de Buzz sera un mix d'automates (visiblement pas plus sophistiquées que dans la version 1.0) et de projections. Nouvel artwork de l'attraction Buzz Lightyear montrant une scène de l'intérieur du ride! Melissa Berry et Scot Drake sur le site de Tomorrowland à Shanghai Disneyland. 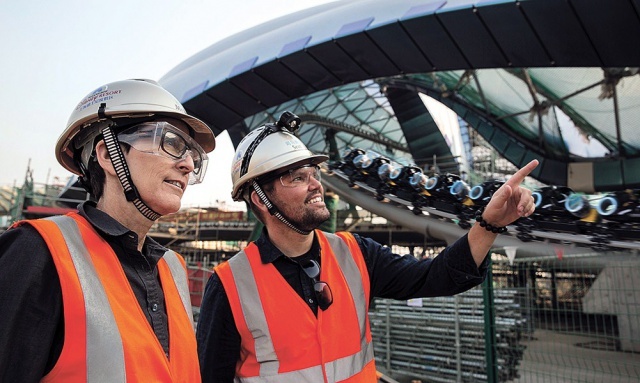 Sixty years later, Mellissa Berry, Scot Drake and their colleagues have been planning what that future now looks like to create the new Tomorrowland for Shanghai Disney Resort. The result will become the sixth Tomorrowland in the worldwide Disneyland network. “We didn’t want to refer to any existing architecture as we worked to create a whole new tomorrow world,” Berry, executive producer at Walt Disney Imagineering Shanghai, told Shanghai Daily. 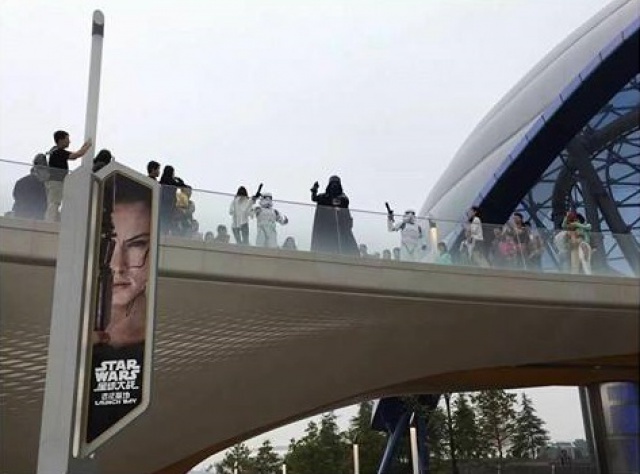 A former TV and film producer, Berry has been working on the Shanghai Disney project for over five years. 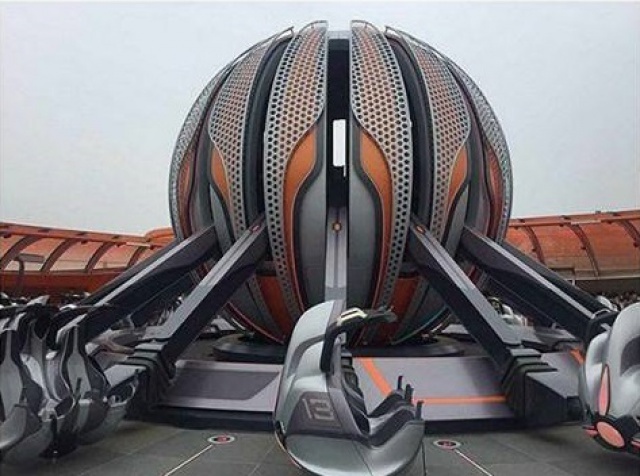 She and Drake, executive creative director of the new Tomorrowland, have worked with a group of Imagineers from all over the world to brainstorm the concepts of a future world and turn them into physical structures. It is a Disney tradition to set up a centerpiece themed land to showcase Walt Disney’s great vision for a big and beautiful tomorrow. There are versions of Tomorrowland in Florida, California, Paris, Tokyo and Hong Kong. The Walt Disney Imagineering Shanghai team aims for the Shanghai iteration to offer a new vision into the future. To achieve their “tomorrow” goals, Berry and Drake set off in 2009 with other Disney Imagineers to scour cities around the world looking for inspiration. They went to the Eden Project in England where plants are collected from around world. They visited the famous gardens in neighboring Suzhou and experienced the West Lake show in Hangzhou. They also attended World Expo in Shanghai several times in 2010. “When we first set foot in Shanghai, we were amazed to find the city itself has been a world of the future,” Drake said. They also then realized the challenges they faced. The local population was already technologically savvy, he added. They invited scientists and environmentalists to become involved in their brainstorming to ensure the best thinking and designs were considered. Berry and Drake also visited Yuyuan Garden, studying the architectural philosophy behind Chinese landscape design. “We analyzed the multi-level buildings, how the pathways unfolded, the moon gates and the shade areas in this historic city garden,” Berry said. 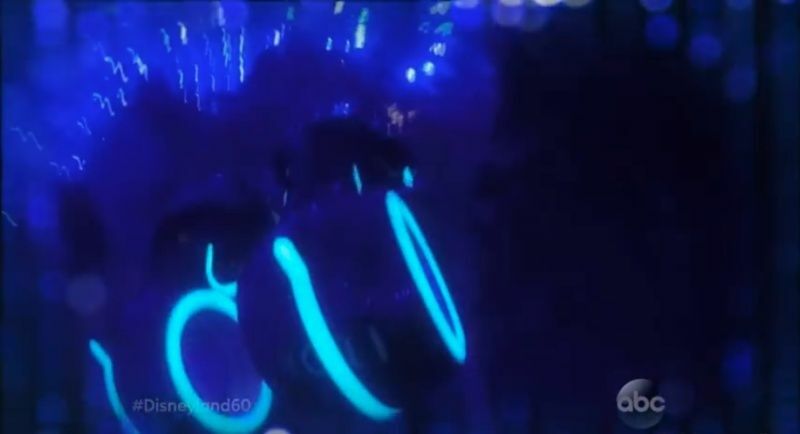 A feature of Shanghai’s Tomorrowland will be the world’s first Tron Lightcycle Power Run, a roller-coaster-style attraction that involves patrons boarding two-wheeled lightcycles on a high-speed, indoor-outdoor track. Visitors can also join the new target-shooting adventure called Buzz Lightyear Planet Rescue, break the bonds of gravity on Jet Packs, and celebrate the entire Star Wars saga. The Stargazer Grill restaurant will offer spectacular views of Shanghai Disney Resort as well as the stage below. An architectural highlight of the complex, the Lightcycle track is covered by a massive, undulating canopy. The entire covert is edged with a dramatic, blue-green ribbon that changes color as it rolls across, “like the tail of a dragon,” said Berry. 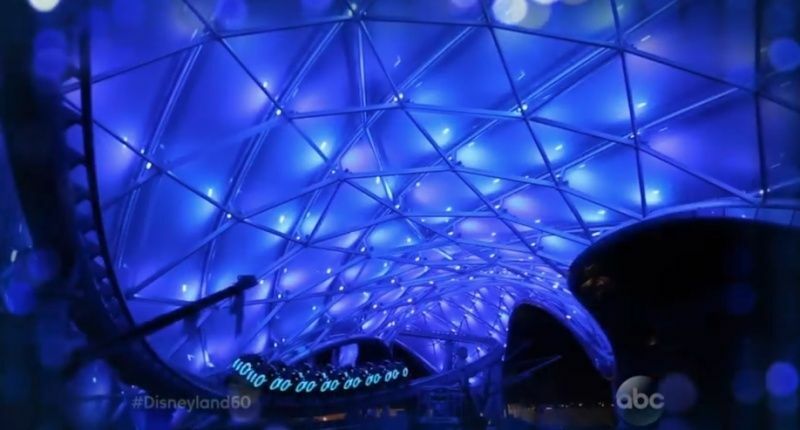 “Guests waiting to board will have fun imagining a future world as they listen to the evocative soundtrack and watch the Lightcycle trains twist and turn all around them, all under a color-shifting canopy,” she said. To create the canopy that Berry said “embodies harmony with nature” and will be like landing lightly on the earth, the team used many cutting-edge design tools. “Even the technology has progressed rapidly since we first started the project,” Drake said. One of the major new tools is called “DISH,” or Digital Immersive Showroom, and it allows Berry, Drake and the project team to wear 3D glasses and walk on the virtually-simulated project. “When we step onto the completed attraction after it’s built, we will feel like we have been there before,” Drake said. The tool is a favorite of Drake who taught digital painting at a California college for seven years. He said it allows designers to “experience” the theme park to ensure the buildings and attractions are perfect. Drake has been working for Disney for 16 years. Before the Shanghai project, he was art director of the 3D simulator attraction Star Tours: The Adventures Continue, and other Disney projects in Florida. Berry relocated to Shanghai from the United States in June 2014 and since then has been immersed in working with the local Imagineering team, local vendors, contractors and artists. “It was eye-opening for me to work with so many talents from different fields,” she said. 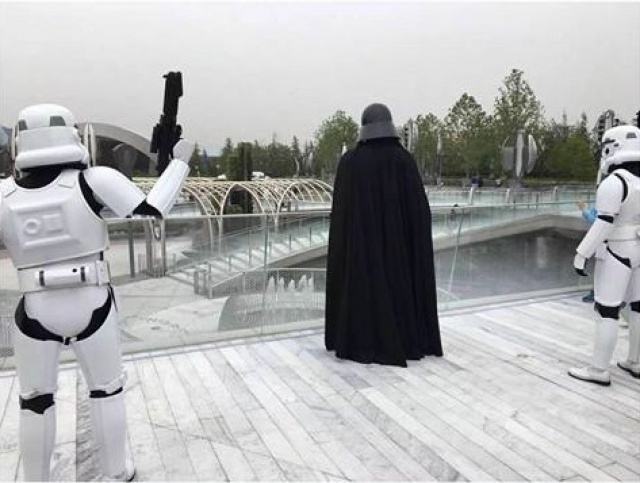 After the resort’s grand opening in spring 2016, in Pudong’s Chuansha Town, Berry said she would take a vacation and spend a week touring around the resort. “I am going to be just like a five-year-old kid experiencing the park,” she said. Drake’s first daughter was born five years ago, when he initially started working on the Shanghai Tomorrowland project, and a second daughter also has arrived. He hopes to bring both girls to see his Tomorrowland once it opens. “The world would become a better tomorrow if people could be more creative and maybe inspired by Tomorrowland,” he said. Shanghai Daily News - 30 octobre 2015. Moi ce qui me plait le plus, c'est le ride de Tron. Et j’espère vraiment avoir une soundtrack par Daft Punk. Grosse déception pour Tron, je trouve que le passage du ride en plein jour au début casse totalement l'immersion et la thématisation. C'est très étonnant venant de Disney ! M-A-J: Pour les personnes intéressées, en page 34 il y a plein de vidéos, j'ai rajouté une vidéo de Dumbo, une de Ignite the Dream / A Nighttime Spectacular of Magic and Light, mais surtout l'on-ride complète de Seven Dwarfs Mine Train et une assez intéressante de Roaring Rapids. Perso, j'ai du mal à voir l'innovation des Jet Packs. Si si on peut le faire. Plutôt conquis par le Tomorrowland de Shanghai que je n'ai vu que de jour (oui car c'est typiquement le Land à voir de nuit à mon avis). On retrouve les blancs et les gris bleutés des autres Tomorrowland avec un quelque chose de plus moderne dans l'architecture. Comment cela vieillira ? Mystère. Buzz Lightyear Planet Rescue est la meilleure attraction de tir de cible conçue par Disney selon moi. Oui, devant Toy Story Mania dont je ne suis pas un grand fan. Ici, on a du tangible, du réel et on a quand même droit à des technologies modernes avec des images de synthèses projetées dans certaines scènes. L'excellente surprise est la facilité d'utilisation des pistolasers. Atteindre les cibles est beaucoup plus simple, clair et intuitif car ce sont de petits écrans qui changent de couleur lorsqu'ils sont atteint (plutôt qu'un trou noir). Par ailleurs, le laser du voisin n'est pas de la même couleur. Visuellement, c'est plus épique et plus sombre que les autres versions mais je dois admettre que, trop occupé à engrangé un maximum de points, il me faut la refaire pour mieux en parler. Visuellement, c'est totalement ouf ! Quand, dans la file d'attente, au détour d'un chemin, on se retrouve sur une passerelle au-dessus de la zone d'embarquement, j'ai cru voir des images de synthèse tant ça ne paraissait pas réel. Absolument sublime, j'en ai eu des frissons. S'installer sur les lightcycles se fait plutôt facilement. Il y a des casiers à l'extérieur de l'attraction et également une petite poche sur l'avant de la moto pour y mettre par exemple un téléphone portable. Le départ est génial. L'accélération semble ne plus finir et c'est un plaisir. Là, on est immergé dans la Grille et on ressort dans le monde réel avant d'y retourner. Le parcours à l'intérieur est très beau visuellement mais quelconque en terme de sensations et de layout. Même Space Mountain en Californie, Floride, au Japon et à Hong Kong, me paraissent plus funs de ce point de vue-là. Mais l'intérêt n'est pas là et je pourrais le refaire des dizaines de fois juste pour m'immerger à nouveau dans cet univers faits de néons bleus. Quelqu'un serait la vitesse atteinte lors du launch ?